London is more than just a great city to visit, it is also a fascinating place for you to study. The higher institutions in London may be divided into major, foreign, specialised and private universities. Most of these Universities in London are among those that are driving innovations today through groundbreaking research. In Birkbeck university, even the top academic staffs are assigned to teach undergraduate students unlike what you see in many other universities. 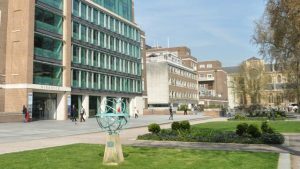 They have earned the Silver award in the government’s new system for rating university teaching which is called the Teaching Excellence Framework (TEF). According to government data, Birkbeck graduates salaries are among the highest in the UK, even after five years of graduating. Birkbeck offers some of the best financial support packages. Kingston university is located in one of the safest and most exciting parts of London. It is for business minded people and have spent more than £30million on new resources and facilities to help students benefit from the best. Middlesex university have proven its excellence as a provider of quality higher education with outstanding academic credentials. They have been around for more than 130 years and have established oversea campuses in Dubai, Mauritius and Malta. University of Westminster is an exceptional place to learn as well as an ideal place from which to explore the rest of the UK and Europe. This is because they have their campus in the heart of London and have the most exceptional learning facilities. West London is one of the most successful business regions and this makes the students of University of West London enviable. According to the Guardian University Guide 2018, the university of West London is the best modern university.